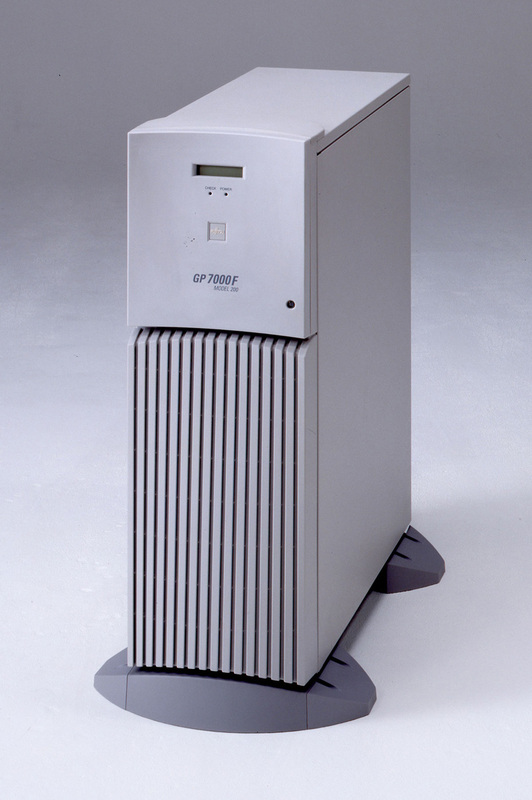 Fujitsu and PFU together announced the FUJITSU GP7000F family in November 1998 as a new line of Fujitsu UNIX servers that were equipped with 64-bit RISC-based*1 SPARC*2 64-GP processors developed by Fujitsu. 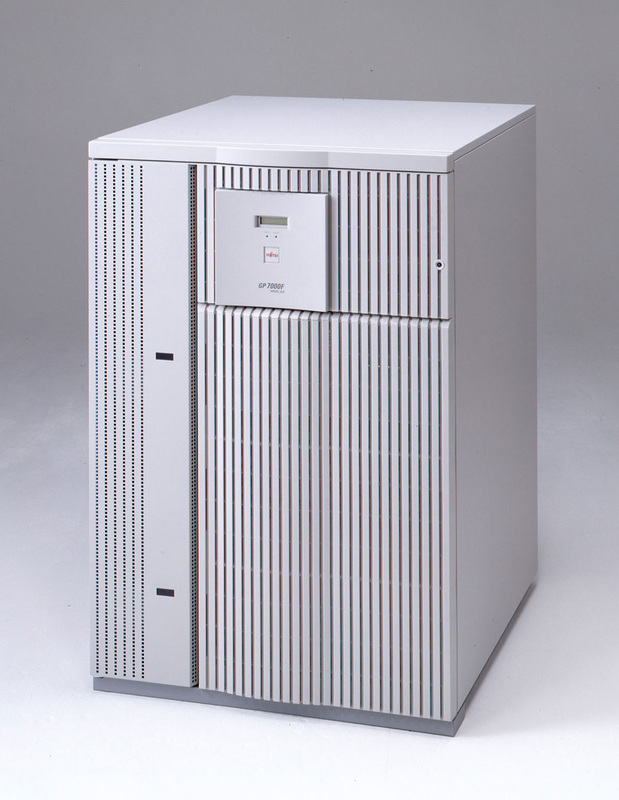 Fujitsu realigned its UNIX servers under the new GP7000 series banner: the previous S family (S series) models became the GP7000S family, and the GRANPOWER 7000 series models were split into the GP7000F family (running Sun’s Solaris operating system) and the GP7000D family (running Fujitsu’s UXP/DS operating system). 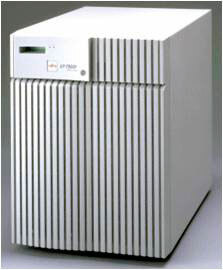 The FUJITSU GP7000F family was targeted for sales in Asia, Oceania, North America, and Europe as well as Japan. From this point on, the GP7000F family became the core family of Fujitsu’s UNIX servers. The GP7000F UNIX server family came with high-performance processors that complied with the 64-bit SPARC V9 architecture specification developed by SPARC International. The processor design aimed for faster processing with branch-prediction functions and instruction-execution functions that changed the execution order to suit the operational status of the arithmetic units (out-of-order instruction execution). The DS/90 7900E could be scaled from eight CPUs to 20 CPUs. The servers’ system bus, which used high-speed crossbar switches, made simultaneous memory accesses on multiple busses possible and attained bus speeds up to 5.6 GB/s. This architecture was able to get the maximum performance from CPUs, particularly when in multiprocessor configurations. The servers featured fallback functionality for processors, memory, and I/O buses (continued operation by isolating fault areas) and a system control facility (SCF), which used an independent processor to detect hardware faults, server interruptions, and other system faults. Fujitsu provided the SafeCLUSTER software application to construct high-availability cluster systems. *1. RISC: Reduced instruction set computer. *2. SPARC: Processor standard developed by SPARC International. Two max. Two max. Four max. Four max. Eight max. *1 The R designation indicates rack-mountable models. *2 The 300 MHz 600 model was added in November 1999. *3 Server clusters were formed with the SafeCLUSTER software application. The specifications above were correct at the time the products were announced. Some specifications were later revised due to product upgrades. Further model variations were added subsequently after the initial announcement.